Using Super Resolution Microscopy (nanoscopy) to visualize and track in living cells and tissues self-assembled nanomaterials with therapeutic potential (nanomedicine). The understanding of materials-cell interactions is the key towards the development of novel nanotechnology-based therapies for treatment of cancer and infectious diseases. Deciphering the physical mechanisms of development and disease in biological organisms by studying how cell and tissue mechanics determine structure and function in these organisms. We develop biophysical tools to compute cell and tissue forces in arbitrary 3D environments with realistic geometries and material properties, such as anisotropy, heterogeneity, poro-elasticity, and non-linear viscoelasticity. The development and knowledge transfer to industry of innovative biomaterials and scaffolds for tissue regeneration. We design, fabricate and characterize bioactive and biodegradable materials and investigate their interactions with biological entities, both in terms of their fundamental aspects and with specific applications for tissue engineering in mind. The aim is the repair and functional restoration of tissues or organs by means of 3D scaffolds, cells and signals. The development of nanomedicine-based systems for malaria prophylaxis, diagnosis and therapy. The long sought-after magic bullet against malaria could take the form of a nanovector for the targeted delivery of antimalarial drugs exclusively to infected cells. Nanotechnology can also be applied to the discovery of new antimalarials through single-molecule manipulation approaches for the identification of drugs targeting molecular components of the parasite. Developing new experimental setups based on atomic force microscopy and theoretical frameworks enabling the measurement of the electrical properties of biological samples at the nanoscale (for example, biomembranes, single viruses or single bacteria). Our main objective is to contribute to develop new label-free biological characterization methods and new electronic biosensors. Developing nanoscale tools to study biological systems, including instrumentation based on proximity probes, such as electrochemical tunneling microscopy and spectroscopy, that we apply to investigate electron transfer in metal oxides and individual redox proteins. One set of nanotools is based on molecular actuators that can be switched with light, which can be chemically attached to biomolecules in order to optically control their activity. The design and development of advanced signal processing techniques and the interpretation of biomedical signals to improve non-invasive monitoring, diagnosis, disease prevention and pathology treatment. Our main objective is to improve diagnosis capability through the characterization of physiological phenomena and to enhance early detection of major cardiac and respiratory diseases and sleep disorders. Intelligent chemical instruments for the detection of volatile compounds and smells. These systems can be based on an array of nonspecific chemical sensors with a pattern recognition system, taking inspiration from the olfactory system. Our group develops algorithmic solutions for the automatic processing of Gas Sensor Array, Ion Mobility Spectrometry (IMS) and Gas Chromatography-Mass Spectrometry (GC-MS) data for metabolomics and food samples. The development of biomimetic systems for cell-based assays that account for the structural, physiological and biochemical features of the in vivo cellular microenvironment. These biomimetic systems will provide the interface between biological questions and engineering tools to (i) develop new insights into environmental regulation of cells, (ii) investigate diseases, and (iii) develop new therapies for regenerative medicine. To generate and correct disease-specific hiPSCs for disease modeling and drug screening. We are particularly interested in generation of transgene-free and disease free patient derived hiPSCs for disease modeling and the discovery of novel therapeutic targets. We take advantage of organ-isms that possess the ability to regenerate such as zebrafish, in order to understand which molecular and cellular pathways lead to organ regeneration. Our research sits at the interface between molecular-cellular biology and nanotechnology-drug delivery. We study the biological mechanisms ruling how our cells and tissues transport cargoes to precise destinations within our bodies, and apply this knowledge to the design of “biologically-controlled” nanodevices for improved delivery of therapeutic agents to specific disease sites. To gain a deeper understanding of cellular and respiratory biomechanics in order to improve the diagnosis and treatment of respiratory diseases. At the systemic level, we study the mechanical properties of airways and lung tissues and the mechanical dysfunctions associated with these diseases. At the cellular level, we have developed an AFM technique to probe micro/nanomechanical properties of the extracellular matrix of decellularized tissue scaffolds. The group is focused in a new line of research that has become of extreme importance in the last years. The idea is to integrate biosensor technology and nanotechnology with stem cell research and with tissue engineering. Engineered tissues are integrated with biosensing technology to obtain microdevices for detecting cellular responses to external stimuli, monitoring the quality of the microenvironment (e.g., metabolites, nutrients), and supporting diverse cellular requirements. We focus on four main aspects of developmental neurobiology and regeneration: 1) Analysis of cell migration and functions of Cajal-Retzius cells during cortical development. 2) Cell therapy and pharmacological treatment to potentiate axon regeneration in lesioned central nervous system. 3) Neurodegenerative diseases. 4) Development of new lab on a chip devices for neurobiological research. Mechanical forces affect the links and conformation of a network of molecules connecting cells to the extra-cellular matrix. We unravel the mechanisms that these molecules use to detect and respond to mechanical stimuli like forces or tissue rigidity, triggering downstream cell responses. Ultimately, we want to understand how forces determine development when things go right, and tumor formation when they go wrong. Nanotechnology for the development of biomedical systems and devices for diagnostic purposes and integrated microfluidic devices for organ-on-chip. We carry out surface functionalization of materials integrated with micro-fluidics systems for the study of biomolecule and cell interactions. The goal is to fabricate micro-systems containing living cells that recapitulate tissue and organ-level functions in vitro and new portable diagnosis devices as Point-of-Care systems. The design of miniaturized devices that bridge functional materials and bio-related applications. Our main research topics are self-propelled micro-nanorobots, compact on-chip electrochemical (bio)sensors and biophysics of cells in confined spaces. Part of our activities are based on the shrinkage of “Lab-on-a-chip” to “Lab-in-a-tube” micro-analytical systems which can delicately control the positioning of single cells inside micro-tubular structures integrated on-chip. We investigate new antimicrobial therapies to combat bacterial infections. We aim to 1. establish the molecular basis for the regulation of RNR genes, their importance in virulence and biofilm formation; 2. identify and screen new molecules for the highly selective inhibition of bacterial RNR; 3. develop nanoparticles to deliver existing antibiotics or anti-microbial drugs; 4. use lab-on-a-chip technology to study the electrical fields in bacterial cell physiology. Our research focuses on understanding the fundamental biophysical mechanisms underlying cell migration both at the single cell level and at the tissue level. When properly regulated, cell migration enables morphogenesis, host defense and tissue healing. When regulation fails, however, cell migration mediates devastating pathologies such as cancer, vascular disease and chronic inflammation. The group uses synthetic methods to study and synthesize the neuronal, psychological and behavioural principles underlying perception, emotion, and cognition. SPECS activities are organized around three complementary dimensions: Theory of mind and brain, Biomimetic real-world artefacts and Brain repair and quality of life technologies. The group is also very much involved in the development of scientific co-operation in the field of Biomimetics and Neurotechnology, as well as in Educational and Outreach activities. Benedetta’s research focuses on the thin line between physiological and pathological protein assemblies. Proteins can assemble into liquid-like droplets or solid aggregates. The group will develop high-throughput methods aiming at understanding how alterations in physical state can result in disease, with a special focus on neurodegenerative conditions. University professors seconded to IBEC who are working on topics that are of interest or complementary to our research areas. 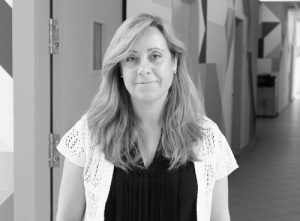 From 2008-2015, Alícia Casals led the Robotics group at IBEC. She began a spin-off company with the UPC, Rob Surgical Systems, which aims to develop a minimally invasive robotic station for surgery, Bitrack, and also worked alongside researchers at the Institut de Recerca de l’Hospital de la Santa Creu i Sant Pau and at the UPC on the development of Surgitrainer, a training platform for laparoscopic surgery. The group was awarded European funding for projects such as HYPER, which aims to develop new treatments in neurorehabilitation and help with patients’ mobility, and RecerCaixa funding for InHANDS (“Robòtica interactiva per a l’assistència humana en l’entorn domèstic”) and “Desenvolupament d un sistema robòtic de baix cost d ajut a la rehabilitació de la marxa per a nens amb transtorns motors greus”. Maria-Pau Ginebra is Full Professor in the Department of Materials Science and Metallurgy and director of the Biomaterials Division of the Research Centre for Biomedical Engineering at the Technical University of Catalonia (UPC) in Barcelona, where she leads the Research group on Biomaterials, Biomechanics and Tissue Engineering. Her research interests include the design and development of new biomaterials for bone regeneration, bone tissue engineering and drug delivery. Her research team has made significant contributions in the processing and characterisation of a new generation of calcium phosphate-based materials which mimic bone extracellular matrix, including calcium phosphate cements and foams, incorporating synthetic or natural polymers, and/or biologically active molecules. She is involved also in new biofabrication strategies, including injectable scaffolds for bone tissue engineering, bioinspired substrates and 3D printing of regenerative medical implants. From 2007-2015, Antonio Juárez led the Microbial Biotechnology and Host-pathogen Interaction group at IBEC. The group’s focus was the protein–protein and protein–DNA interactions that play key roles in the ability of virulent bacteria to adapt to the host environment and cause disease, with a particular interest in finding ways to tackle the resistance of bacteria to antibiotics. During his time at IBEC, he and colleagues from the UB and IRB identified the strategy used by enterobacteria to acquire resistance and pathogenicity, and worked together with IBEC’s Nanoscale Bioelectrical Characterization group to demonstrate the potential of electrical studies of single bacterial cells. The group also embarked on a technology transfer venture together with two biopharmaceutical companies, CZV Veterinaria and MEVET, to obtain strains of Salmonella with weakened virulence, which can then be used to develop a vaccine to reduce the incidence of the infection in poultry farms. Ralph Gregor Andrzejak is director of the Nonlinear Time Series Analysis Group at the Department of Information and Communication Technologies at the Universitat Pompeu Fabra, Barcelona. His department has recently been awarded as a “Maria de Maeztu Unit of Excellence” by the Spanish Ministry of Economy and Competitiveness (MINECO). He pursues two parallel research tracks. On the one hand, he develops innovative nonlinear signal analysis techniques. These techniques aim, for example, at the detection of non-random structure in complex dynamics or the characterization of interactions in networks of dynamics. On the other hand, he applies these techniques to real-world biomedical signals. Here an emphasis is placed on different types of electrophysiological recordings from epilepsy patients. Marino Arroyo is Full Professor at the Universitat Politècnica de Catalunya (UPC), where he is a member of the Laboratory of Computational Methods and Numerical Analysis (LaCaN) group. Before joining the UPC, he obtained a PhD from Northwestern University, was a postdoctoral scholar at the California Institute of Technology (Caltech) and a long-term visitor at the Institute for the Mathematics and its Applications (University of Minnesota). He has been awarded the O. C. Zienkiewicz Award for Young Scientists in Computational Engineering Sciences by ECCOMAS (2010), two ICREA Academia Awards (2009, 2015), and the ASME/BOEING Structures and Materials Award (2003). He has also been the Timoshenko Visiting Scholar at Stanford. He was awarded a ERC-Starting in 2009 and a ERC-Consolidator Grant in 2016. In 2016 he came third, alongside IBEC group leader and ICREA research professor Xavier Trepat, in the La Vanguardia Science Award for their groups’ research that was published in Nature Materials. His research goal is to develop theories and computational methods to understand the small-scale mechanics of materials and biological systems, with a recent emphasis on cell and tissue mechanobiology and bio-inspired materials.